The fit-out of No. 7 is progressing well. The 1st fix plumbing and electrical work is now complete to the first and second floors. The plasterers have started work on the second floor and will be working their way down through the house over the next couple of weeks. Accompanied viewings are now possible. Contact Meg Plummer on 01484 668017 for further information. 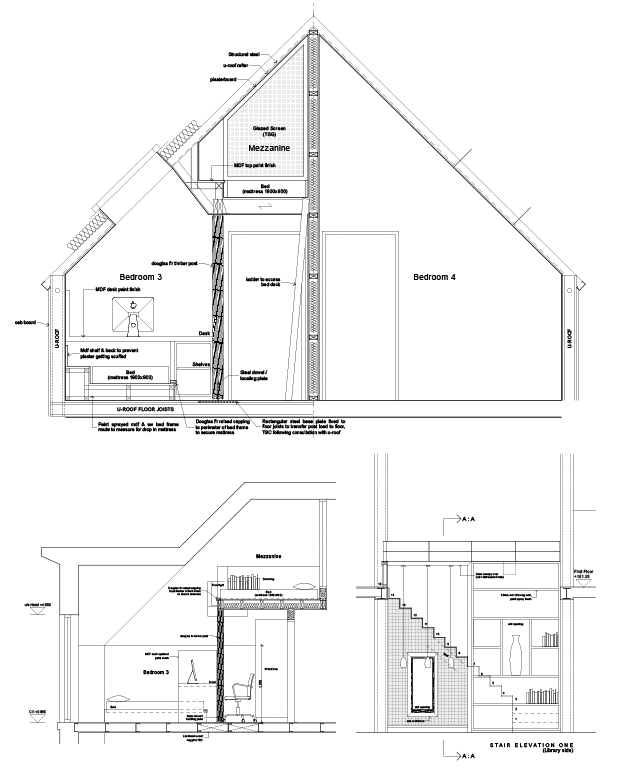 The detailed drawings for the fit-out of No. 1 are now largely complete, allowing the joiners, plumbers and electricians to start work in the property as soon as they have finished in No. 7. The month ended on a positive note, with a sale being agreed on No. 6. The property is now sold subject to contract, and is therefore no longer available for viewings. From 1st July there will be a price increase of 5% on the list price of all 5 remaining properties at Delamere Gardens. All sales agreed (subject to contract) prior to this date will be honoured at the current price.